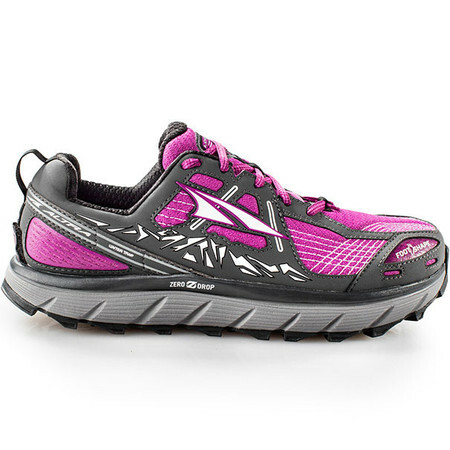 Altra’s women’s Lone Peak is a trail running shoe designed specifically for a woman’s foot. 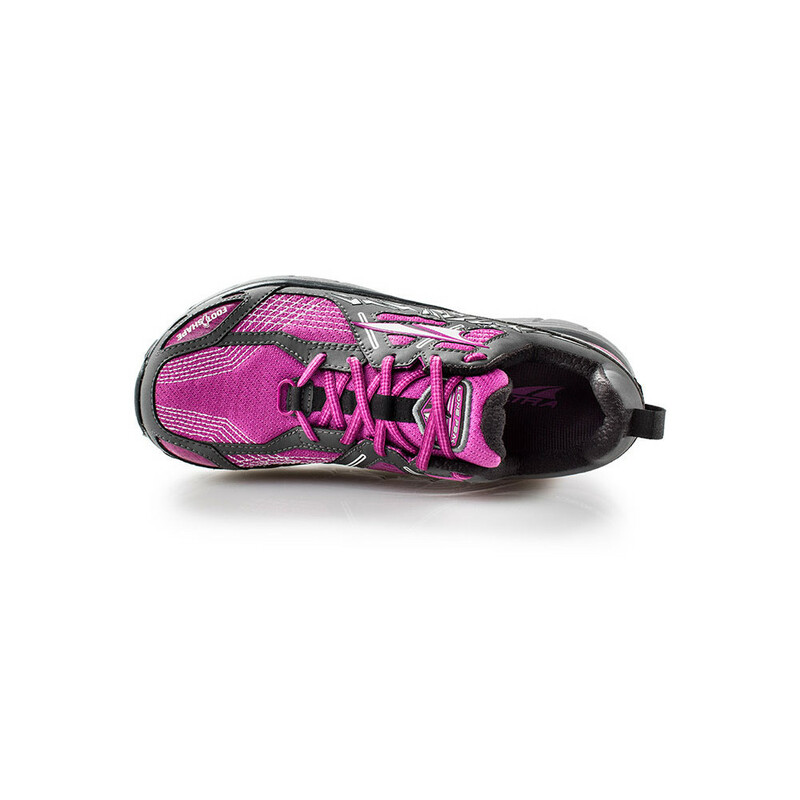 It features Altra’s unique foot-shaped toe box that lets the toes spread and gives you more comfort and stability as you run or walk uphill, downhill or on the flat. 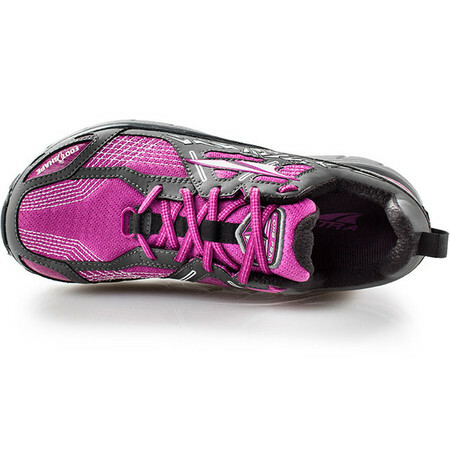 Altra’s trademark zero drop midsole encourages a better, lower impact running posture. 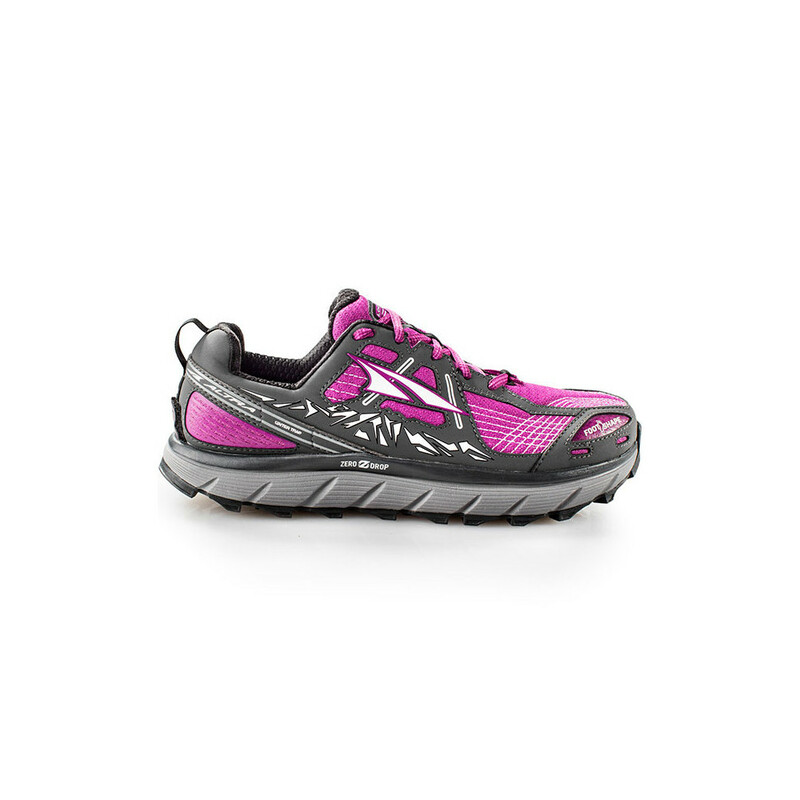 Altra women’s shoes are constructed differently from the men’s versions to reflect the anatomical differences in a woman’s foot. 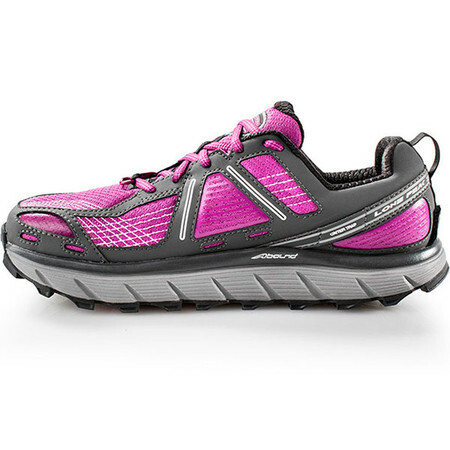 They’re longer in the arch, narrower in the heel and midfoot and feature female specific cushioning and upper fitting. 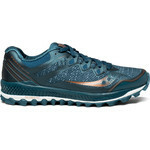 The upper of Lone Peak 3.5 is a reinforced Quick Dry air mesh, designed to keep out dirt, with drainage holes to let the water out if your run takes you through puddles or streams. 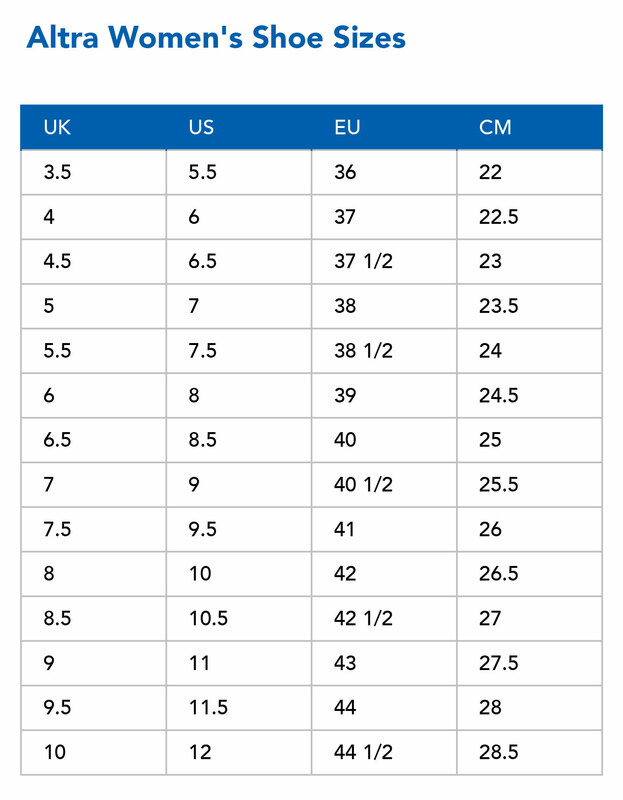 A 4 point gaiter trap system allows easy attachment of gaiters when necessary. 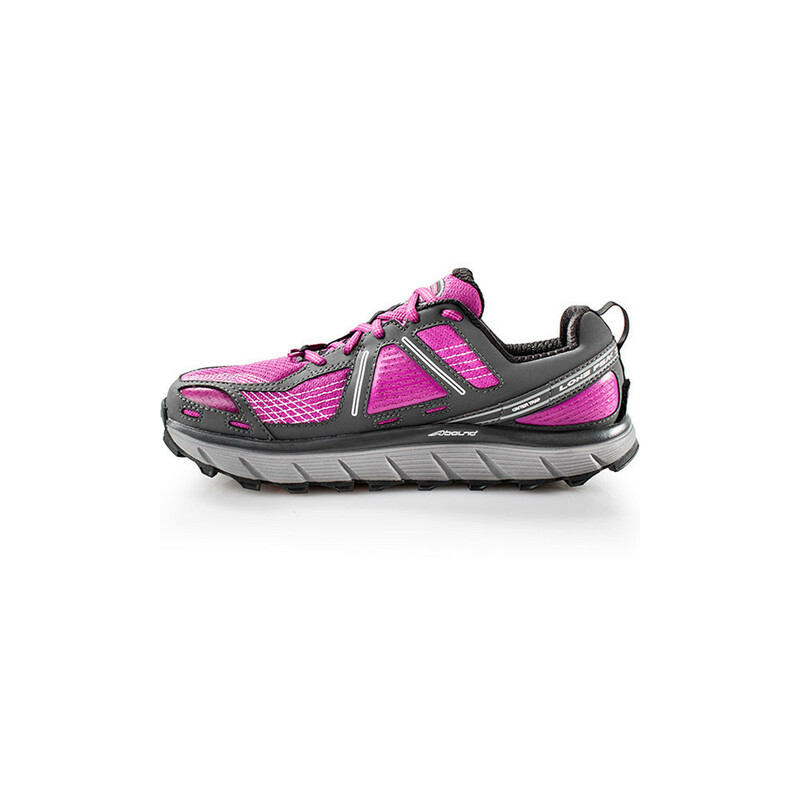 Lone Peak 3.5 features a dual layer midsole made up of EVA and Altra’s A Bound cushioning system for shock absorption over firm terrain. 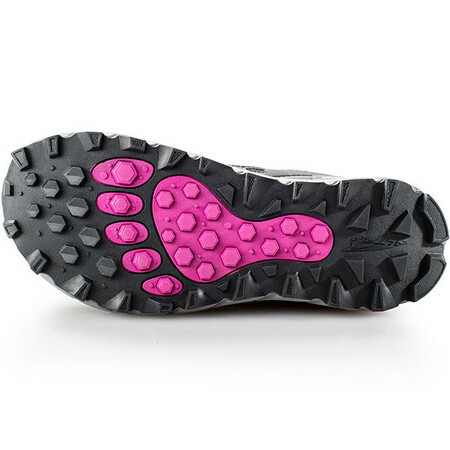 Altra MaxTrac Sticky Rubber on the outsole with Trailclaw lug pattern offers traction on soft ground and grip on wet rock or pavement. 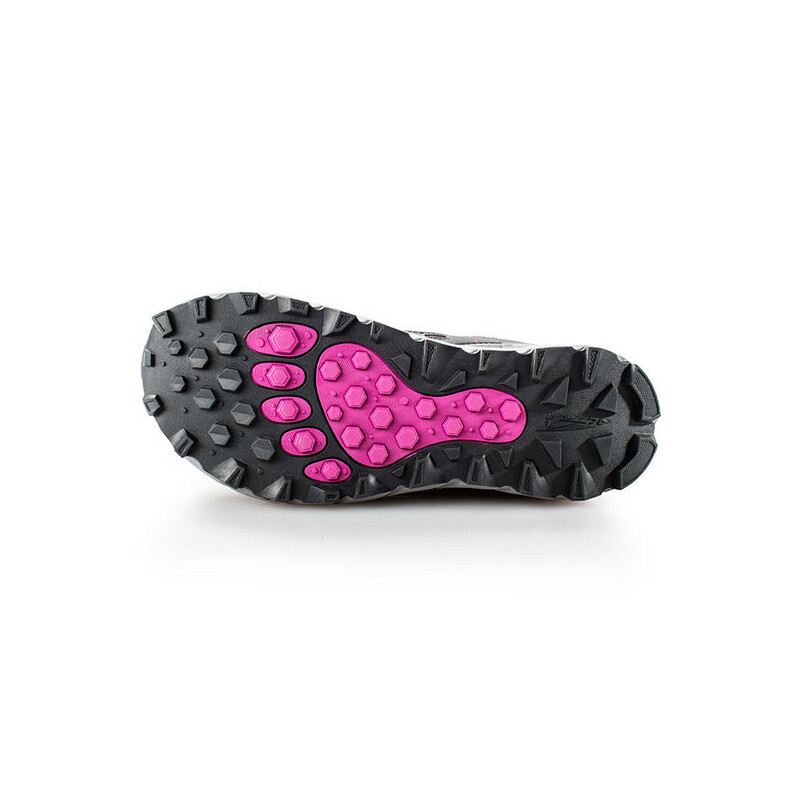 The tread pattern positions lugs beneath the metatarsals for extra grip when ascending or descending. 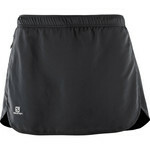 Sandwiched StoneGuard Rock Protection protects the foot from sharp stones or roots.